Welcome to your home tax deduction checklist! For homeowners, this kind of guidance is essential in the wake of all the (confusing) changes ushered in by the new tax plan, the Tax Cuts and Jobs Act. To help, here's a list of all the tax breaks for homeowners. In the past, you could deduct the interest from up to $1 million in mortgage debt (or $500,000 if you filed singly). "But for loans taken out from Dec. 15, 2017, onward, only the interest on the first $750,000 of mortgage debt is deductible," says William L. Hughes, a certified public accountant in Stuart, FL. Note that taking this deduction under the new tax law does require itemizing deductions, but it may be worth the hassle, especially for new homeowners. If you bought a home and paid points, then you can still deduct those from your taxes. They must be "true," or discount, points, not origination points. After all, points are essentially mortgage interest that you prepay, so it makes sense that they'd be treated like the rest of your mortgage interest. Each point is 1% of the loan amount, so if you paid 2 points on that $300,000 loan, you can deduct $6,000. For now at least, Congress has renewed this deduction. If you can't make a 20% down payment on your home, most lenders require that you pay private mortgage insurance, or PMI. The upside: It's tax-deductible as long as your adjusted gross income is less than $100,000. (For each $1,000 you make after that, you can deduct 10% less of your PMI, up to $109,000.) PMI is generally between 0.3% and 1.5% of the loan amount annually, so on a $300,000 loan, you'd be deducting between and $900 and $4,500. Homeowners often take out a home equity loan or home equity line of credit in order to tap into some quick cash—for college, weddings, home improvements, or otherwise—using their home as collateral. And up until 2017, homeowners could deduct the interest on home equity debts up to $100,000 for married joint filers. Now? "Home equity debt interest deductions have been eliminated," says Eric Bronnenkant, a certified public accountant and financial planner, and head of tax at Betterment. That is, unless you spend the money on one thing only: home improvements. So if you're eager to renovate that kitchen, this deduction still stands. But if you have to foot the bill for your daughter's wedding, the IRS will no longer pitch in, explains Amy Jucoski, a certified financial planner and national planning manager at Abbot Downing. And unlike mortgage interest deductions, the new rules on home equity debt apply to all loans regardless of when they were taken. And to reap the benefit, your total debt—meaning your mortgage plus your home equity loan—can't be more than the new $750,000 cap. In the good ol' days of 2017, your property taxes were fully tax-deductible. This tax season, there's a $10,000 cap on the combined amount of your property taxes, state and local income taxes, and (for states without income tax) deductible sales tax. One bright side for landlords and those with vacation homes: "You can take deductions for all the properties you own, plus add your state income tax," says Steven Weil, president of RMS Accounting, in Fort Lauderdale, FL. Did you add solar panels or a solar-powered water heater last year? That means you can help yourself to a tax credit. According to Bishop L. Toups, a taxation attorney in Venice, FL, qualifying solar electric panels and solar water heaters are good for a credit of 30% of the cost of the equipment and installation. For a $30,000 green investment, that's a cool $9,000 back! To qualify, the solar panels have to generate at least half of the energy used by the home, they have to be installed in your primary residence, and they can't be used to heat a pool or hot tub (sorry!). The credit will remain 30% of the cost for equipment installed between now until the end of 2019, 26% until the end of 2020, and 22% until the end of 2021. The home office tax deduction disappeared for all W-2 employees who have an office elsewhere that they could use if they wanted to. 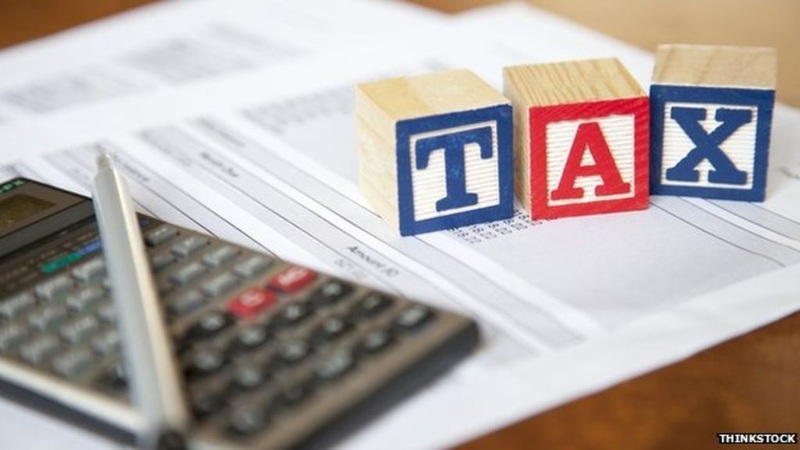 The only people who can continue taking this deduction are those who truly run their own business from home, says Joshua Hanover, a senior manager at Marks Paneth. Using the simplified home office deduction, self-employed people can take $5 for every square foot of office space, up to a maximum of 300 square feet. For a 200-square-foot home office, you're looking at a nice $1,000 deduction. Just don't try any funny stuff—it has to be a dedicated home office, used only for work. Here's more on the home office tax deduction.